Sept. 11, 2017, 10:11 a.m.
By Ricardo Bilton @rbilton Sept. 11, 2017, 10:11 a.m.
Those rushed early ideas resulted in user experiences that did little to take advantage of the unique strengths of Messenger’s text-based interface. But more recent experiments show that news organizations are starting to realize the potential of Messenger and are using it to experiment with new kinds of talking to their readers. 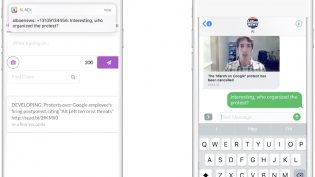 Last month, Honolulu Civil Beat launched a chat bot designed around a few questions: How can a news organization use Messenger to start a genuine conversation with readers at scale? Can messaging be a viable way to field news tips from readers? And is there a better way to use Messenger to get stories out to people and make people more aware of the work that Civil Beat does? The resulting product, while limited so far, offers a glimpse of Messenger’s evolving potential for news organizations, particularly small ones. 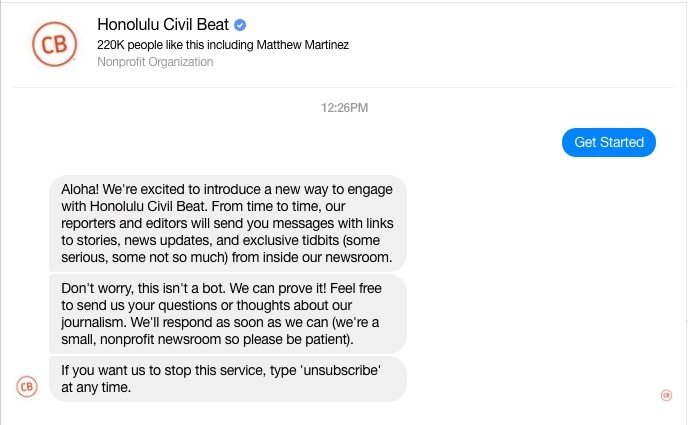 When Facebook users message Civil Beat, the bot initially responds with a handful of automated messages that explain the idea behind the bot, links to a preview of the Civil Beat Monthly donor email (and donation link), and, lastly, asks if the user wants to sign up for the Civil Beat daily newsletter. Once users get through those initial prompts, someone from Civil Beat itself is able take over and field the user’s question or comment. Civil Beat, a newsroom of 20 with no in-house developers, worked with an external developer on the bot. Quintano said the size of the organization has forced it to be more creative with how it experiments with new ways of connecting with readers. The novelty and potential of the Messenger interface, coupled with the size of its readership on Facebook (216,400 users follow Civil Beat’s page) helped win over the organization. ProPublica, which has used Messenger to collect story ideas from readers, also cited those features for why it decided to create a bot. Early reader reaction to Civil Beat experiment has been mixed. 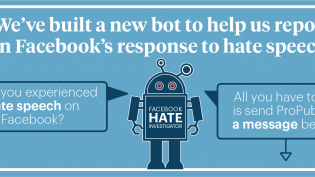 Some said they found it annoying; some asked the bot itself whether such an idea was necessary. But Civil Beat also saw an encouraging number of people who thought it was an interesting project and embraced the idea of using it to communicate with the Civil Beat team. Some of these readers even used the bot to ask for help with Civil Beat videos they couldn’t find, while one reader asked the bot what kind of camera Civil Beat used to stream footage of a Monk Seal and its pup in July. “It’s been very impressive for the little we’ve done with it so far,” Quintano said. But the most welcome development so far has been the number of readers who have used the Messenger bot to send Civil Beat news tips. While the site has always let people send it suggestions for things it should cover, Quantano said it was “pretty rare that we would actually get tips.” But within a few days of the bot’s launch, multiple readers were sending story ideas, questions, and, in some cases, photos of things they thought Civil Beat should cover. 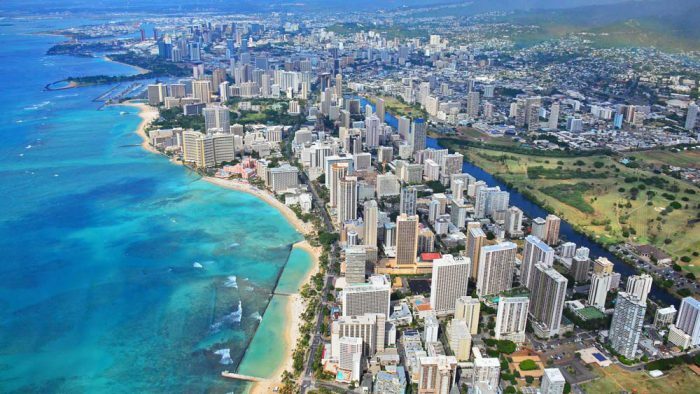 Photo of Honolulu by Edmund Garman used under a Creative Commons license. POSTED Sept. 11, 2017, 10:11 a.m.
Bilton, Ricardo. "Honolulu Civil Beat wants to use its bot to deepen ties with readers (and find some new stories, too)." Nieman Journalism Lab. Nieman Foundation for Journalism at Harvard, 11 Sep. 2017. Web. 20 Apr. 2019. Bilton, Ricardo. "Honolulu Civil Beat wants to use its bot to deepen ties with readers (and find some new stories, too)." Nieman Journalism Lab. Last modified September 11, 2017. Accessed April 20, 2019. https://www.niemanlab.org/2017/09/honolulu-civil-beat-wants-to-use-its-bot-to-deepen-ties-with-readers-and-find-some-new-stories-too/.